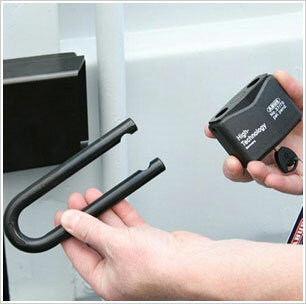 Although the ABUS container lock is designed with shipping containers in mind, it is also ideally suited to securing warehouse doors, stables, vans and lorries. A hardened steel casing protects the padlocks from force attachks and also the weather. A high security Granit Plus padlock then secures the door closed. 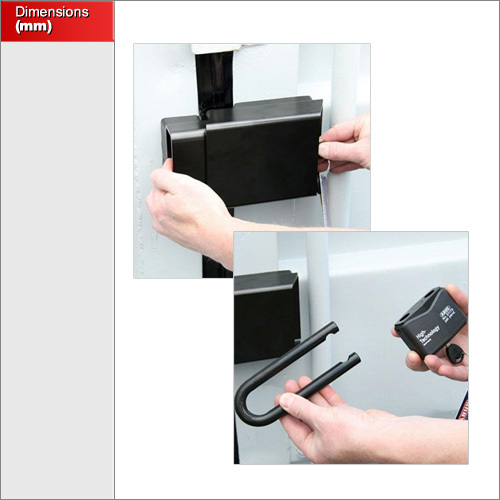 These padlocks are designed with the highest possible security in mind with patented anti-pick Plus mechanisms and keys that can not be copied by conventional lock-smiths. The unit is supplied with full fitting instructions. 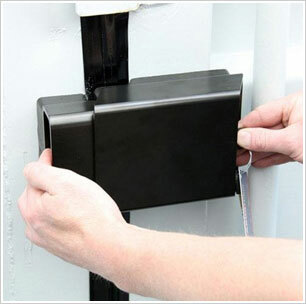 The lock is fitted by two solid steel bolts on the inside of the container. The simple installation procedure means that the container lock can easily be removed and reused again on another container. 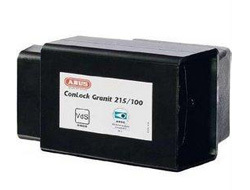 The Container lock only comes in a single size but it can be adjusted to fit all containers and many other applications. This product is design for use on a shipping container but its unique design does allow it to secure stables, warehouse doors, vans and lorry doors.